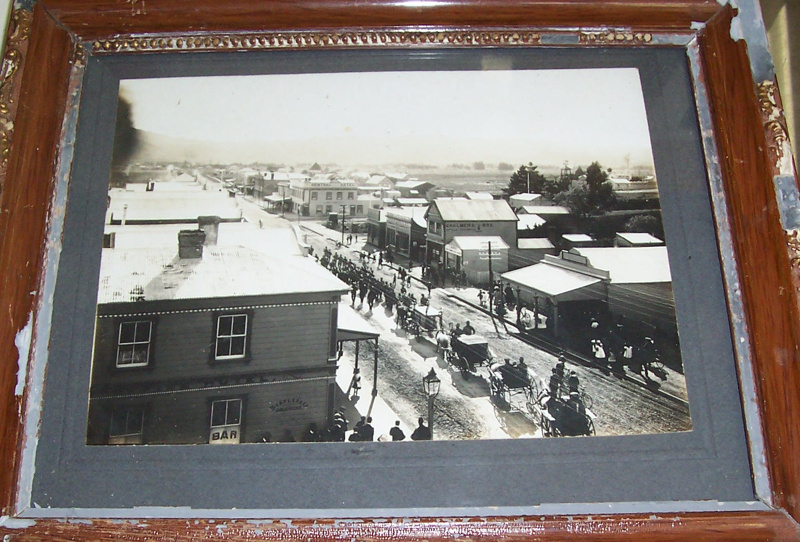 Framed photograph of the funeral of Crimean War veteran James Culley-Blake on 18 September 1907. 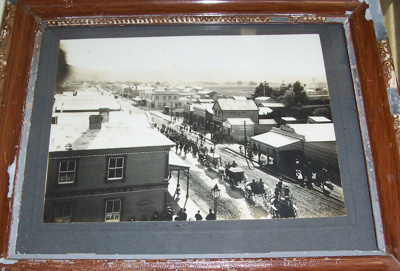 The funeral procession went through the main street of Woodville. Culley-Blake was invalided out of the war and returned to England. He unsuccessfully tried to reenlist but was successful on a third attempt using the name Culley. He was eventually sent to India and then on to New Zealand as part of the Police force. He ended up farming at Papatawa near Woodville, and although never married reputedly had descendants, one of whom was Mr Smart who died in a railway accident.